I do my best at submitting at least one post per week and I strive to keep the topics mainly focused on our wonderful warlock class. However, there are some times (like this particular post) when I’ll stray from the study of Fel energy and the Dark Arts. Sometimes, there are some great people that I run across who I’d like to mention either in a congratulatory or thankful tone to let them know that I appreciate everything they do. So I’m adding a permanent section to Warlockery called, “Bows, Cheers and Salutes” as my small way of acknowledging people that have made a difference to me as a person in game, or in RL. My raid team two weeks ago hit a nice target. 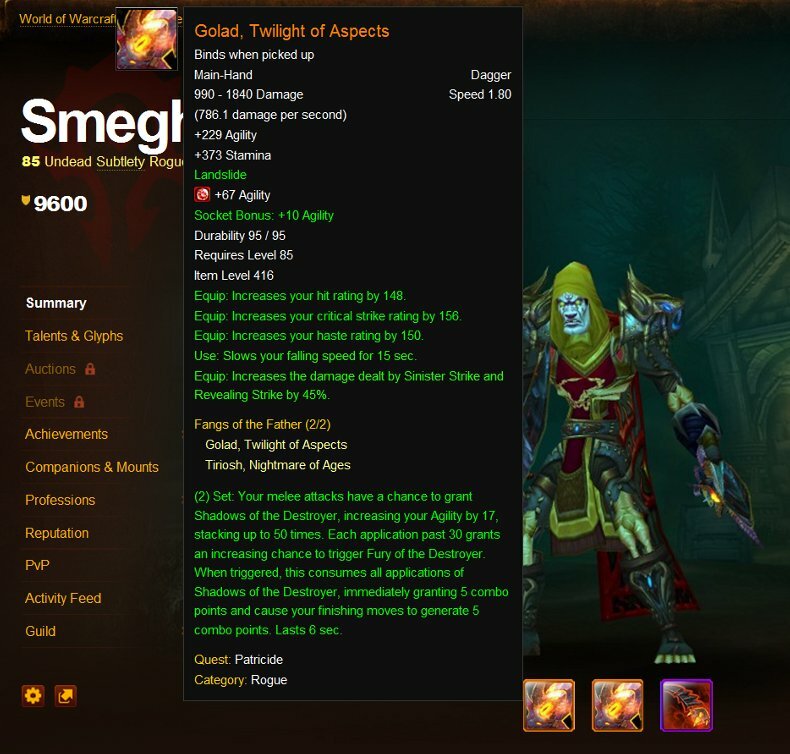 One of our rogues, Smeghead, recently completed his epic grind and got his new legendary daggers. 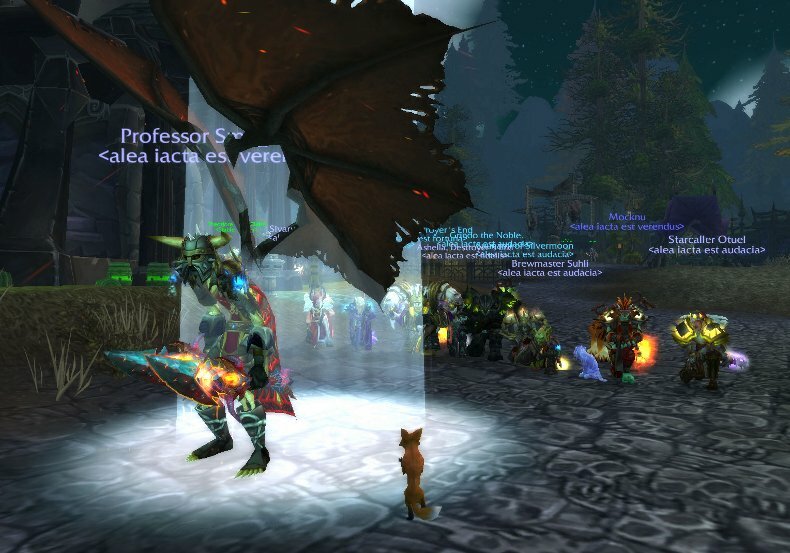 It was a proud moment having our entire raid team head over to Brill in Tirisfal Glades to watch him jump off buildings to see the “demon wings” animation graphic that came a long with them. We took a bunch of team shots and there was plenty of cheering and high-fives over mumble. It was a lot of hard work for him, but it finally paid off. Gratsie my friend! Demonicric often fills in as guest host for Hearthcast and he creates and submits many of their show segments. So, I was quite shocked when he asked if I’d come on the show and play against him in a game of Hearthcast AoE. I was very reluctant at first; however, with enough begging, coaxing, and a small monetary payment that isn’t traceable, I finally accepted. (I’m teasing about the coaxing part :P) So last week I took part in my first “Live” podcast show taping where I played against Demonicric for honor, glory, and for bragging rights on the Hearthcast AoE segment. 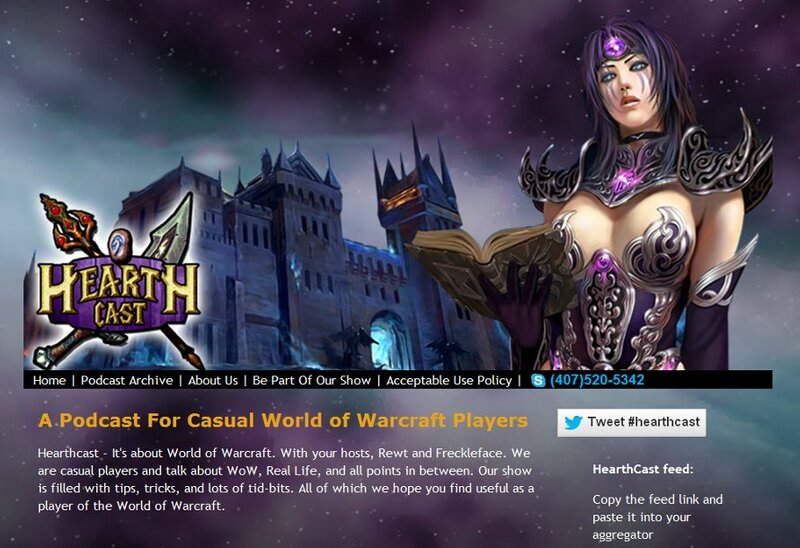 The Hearthcast Podcast – Sorry I missed you Rewt, but I hope you had a great vacation! Thanks again to Freckle Face and Demonicric for being so nice! Freckle Face, one of the show’s lead co-hosts, was gracious and sweet at making me feel welcome despite all my nervous jitters. I won’t tell you what happened because that would be a spoiler, and I for one hate spoilers. However, you can zip over to their website and download the show to find out. In all honesty, I normally shy away from doing any live shows because I ‘m just not good at them. Believe it or not, I do quite a lot of speaking in front of large groups with my RL job, but for me, doing a live “podcast” is completely different. Weird, I know…but that’s just me. They make me a nervous wreck tbh! Another warlock who’s out fighting the good fight in promoting our class is Rho or @RhoWoW. He’s a newer member to the AIE guild and already he is jumping on the bandwagon of starting his own blog and making audio segments. He’s being aired on several of the Warcraft podcast shows. Currently, he is doing “The Achievetron” segment and “The Dojo” segments where he can be found on @Jangasm’s –> Something Suggestive podcast and on Convert To Raid. 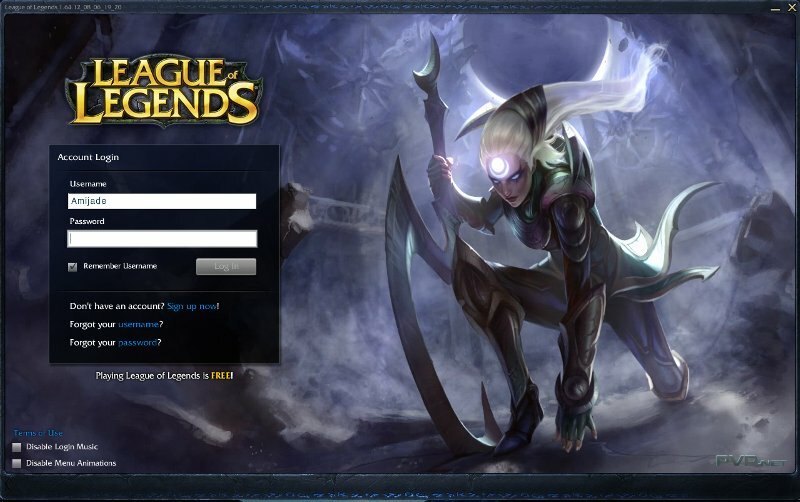 With enough coaxing, a few of my friends from my raid team convinced me to download and play League of Legends. I have to admit, at first I wasn’t so sure about it. WoW, has always been the only game I really play, or have any dedication towards. However, after much begging from my raid team members and after reading some of Fulguralis’s posts over on Killing’em Slowly like LoL – Different Goals, concerning his attempts at playing LoL with is wife and a few other of his posts, I thought “What the heck…why not?” So for the past couple of weeks when our raid time ends, a few of us log over into LoL for a few matches. Trust me when I say that moving over from keybinding in WoW to the simplistic play style in LoL takes some heavy concentration on my part. I’m serious too. League of Legends is not a simplistic game in any way other than you only have about 5 abilities to use. From that point on, it really is about strategy, communication and team work. I’m only at level 6 as a summoner, and already I find myself consistently playing and enjoying the Karthus hero with all of his support spells. I guess what play style you carry from WoW bleeds into other games as well, or maybe, because from a warlock’s PoV that particular hero fits my MO? Either way, I’m having fun. If you ever decide to play League of Legends, here is a tip I highly recommend. Bring along a friend or two who know what they are doing. I think anyone could download and try it out, but like me you may get lost or come to the misconception that it’s too simple. I made the ignorant mistake of thinking that way my first night of playing LoL. However, I soon found out the hard way that the learning curve will grow steep rather quickly, and a friend who can calm you down and walk you through the basics will keep you excited to play. It is NOT an easy game to master and I can see how there is world wide competition for this sport. Friends keep telling me to try out LoL as well…I’m very tempted, but seems like there’s lots to learn! 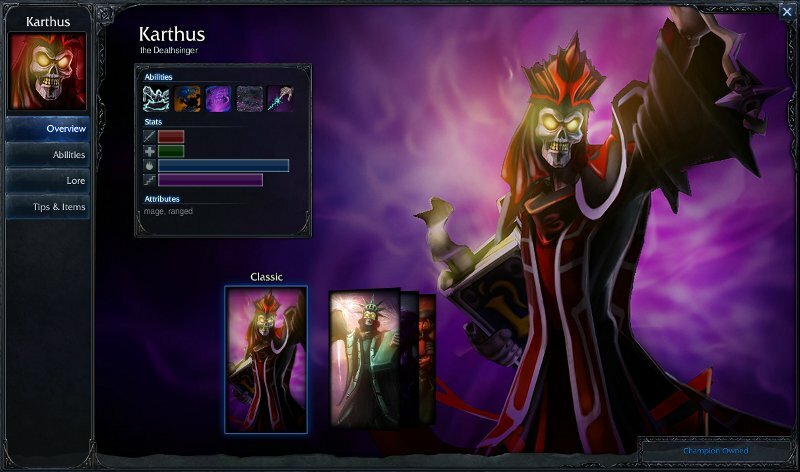 That Karthus hero looks pretty cool, though! Have a great weekend and thanks for stopping by as always! Grats Smeg Suhli and Demon! Shiny! I think it’s a give and take on where you spend your time to play. I gave up some of my normal WoW farming time to try out LoL. So far I’m having fun – after all isn’t that what life’s all about? Last picture … in the “pictures” at the bottom: Is he cosplaying the Statue of Liberty or one of those poor souls who stands on street corners in foam outfits around tax time? This toon does farm gold so maybe I should think of it as a taxing to fund my demonic practices? Either way you should check it out. The cast and crew are very nice and they have a good show. You might like it if you just check it out. Plus, you can make fun of how derpy I am. Naw been running some ..ugh..PvE stuff on my mage, still working on the lock when i get a chance. Meh, all good my friend. Just have fun :P Even if it’s on a mage! Ha! Glad I got you playing. Now I’ll have to add you so we can play together sometime. There are definite benefits to a just one realm. Easy to find folks. Yes, I have you as another to blame for my new love/hate relationship that’s called LoL. I’m still helplessly clueless and just sticking with lanes and middling to get a better handle on how things work. I’ve read good and bad reviews on Karthus, but I’m having fun with that toon. He’s a Lich with Defile and Requiem! Sweeeet love of all that’s dark and shadowy! And like any good warlock type he struts around with a swagger. Gotta love that! If you wanna run with a fail player, then hit me up anytime! No more posts on anymore games you like okay? Otherwise, I’ll have to drop ya from my follow list because I have enough addictions already! 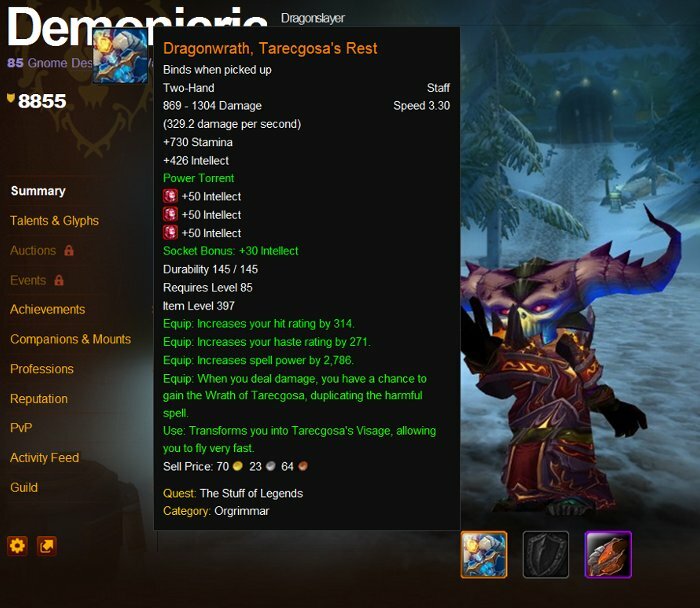 Will There Be a Changing of the Guard for Demonology?